Hurray! Welcome to amazing two thousand and nineteen. The beginning of a new year is usually one of my favorite times as it gives us fresh opportunities for growth and improvements in past average areas. Have you looked at those things that worked quite well for you in the previous year and those that didn’t? I’d like you to take a few minutes to think about your domestic staffing experience in 2018? What were the major highlights of your experience? 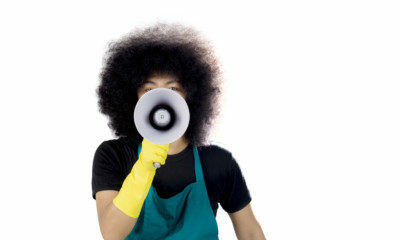 If you had a stressful time with your household staff, then it’s time for change. You agree with me that having a high turnover of domestic staff can be really draining. Nobody has got time for drama in 2019; therefore, take these three intentional and deliberate steps to achieve your goals. What kind of staff do I need to hire? Do I need a live in or live out person? What are the top skills you require your staff to have to enable you function effectively on your job? What is the staff’s professional experience? What character qualities should I look out for in the potential employee to have a mutually beneficial relationship? Do I need to increase my salary budget? Am I too high handed? Do I need to introduce monthly or quarterly appraisals? Can I improve on terms of employment and benefits? Now that you are clear about the kind of staff you would like to hire, a job agency might be more reliable to help with the process. During the interview, refer to your notes and let it guide you in asking the potential staff questions. After you have made your selection, on-board your staff. On-boarding is the process of getting your staff familiar with their new place of work. This is of utmost importance even if the person is experienced. Remember no two homes are the same. Therefore take out time to get them familiar with your household procedures to avoid matters that touch. I wish you the best year with your domestic staff. Mrs Elizabeth Ajetunmobi is Nigeria’s Foremost Household Staff Placement Consultant. She is a Professional teacher who has an impeccable track record of working successfully with children and adults. Her goal is to bridge the gap in the house hold industry and provide knowledge and empower domestic staff to deliver excellent services. Through Aymie, she trains prospective staff to be outstanding in their service delivery and helps families recruit domestic staff that have been adequately equipped for professional service. So, how do we reach u, aunty Elizabeth? Don’t u want to help us hire good helps??? Nice one Mrs Elizabeth,thank you for this tips. Keep it up. 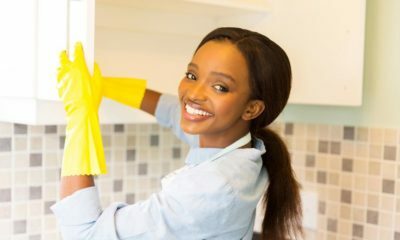 While I already have a domestic staff that doesn’t plan to leave anytime soon for me to replace while adopting these good tips I didn’t have the knowledge of earlier, I guess you could still help me train the one I have through the upskill your nanny course. Mrs Elizabeth, You’re very much on point. Thanks.